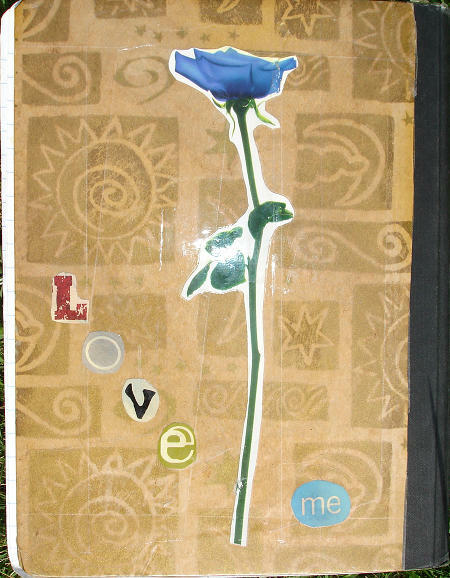 I used a golden designed wrapping paper for the background, and the letters and rose were taken from a magazine. 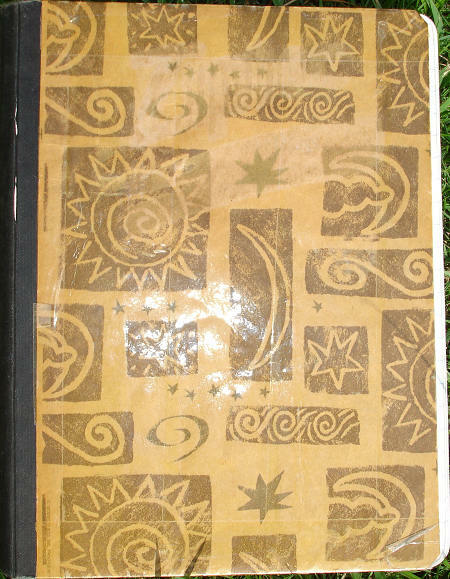 The covers were laminated with large scotch tape. This was possibly made in spring 2002.